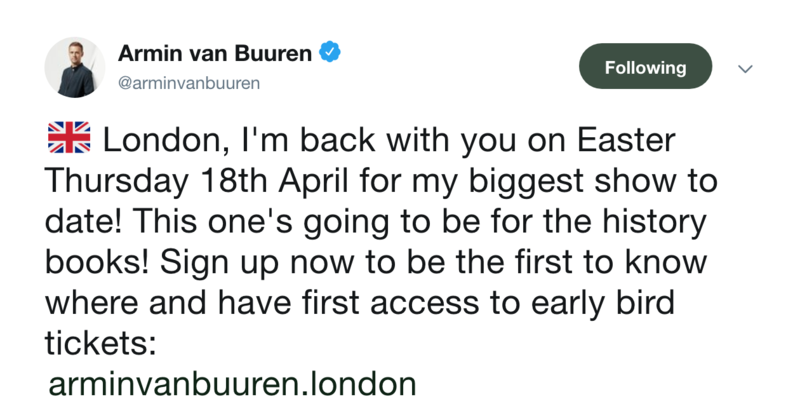 Armin van Buuren has announced initial details of his biggest London show to date. The legendary Dutch producer and DJ will play the city Easter Thursday (April 18th) next year. The venue is yet to be announced. You can sign up to be among the first to discover the venue - as well as snap up early bird tickets - here. Last month, van Buuren won the Highest Trance category at this year’s DJ Mag Top 100 DJs poll. The Armada boss also recently released euphoric new single, 'Lifting You Higher'.